Abstract—The purpose of this study are to develop, verify and approve the e-Learning management system model for Thai society. The research methodology was qualitative method that carried out using semi-structure interview questions for in-depth interview the experts and executives in e-Learning of academic institutions including government sectors and focus group with a specialist in e-Learning of the meeting Committee on Science, Technology and Telecommunications of the Thai Senate. The research found that the e-Learning management system model for Thai society has three main components; firstly, general management, secondly, e-Learning management system, and lastly, e-Learning management-driven strategy for Thai society. Index Terms—E-Learning, e-learning management system model, Thai society. J. Vicheanpanya is with the Faculty of Communication Arts, Rangsit University, Paholyotin Rd., Patumtani 12000, Thailand (e-mail: jiracha.v@rsu.ac.th, ajjoy50@gmail.com). 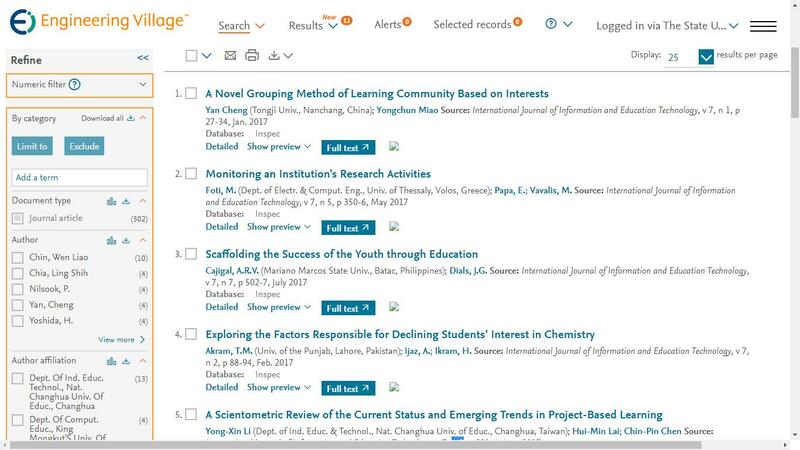 Cite: Jiracha Vicheanpanya, "E-Learning Management System Model for Thai Society," International Journal of Information and Education Technology vol. 4, no. 1, pp. 67-70, 2014.